← Happy Birthday Dr. Hahnemann! Your healthy, adult body knows how to accurately identify problem microbes, run a fever to stop the growth of viruses and bacteria, and kill infected cells. Isn’t that amazing! Our children’s bodies need to go through a years-long process to complete its education on these things. There is a big difference between babies’ immune systems and adult immune systems. This article will discuss some of the current thinking on immune system development from recent research. The implications of these discoveries is up for debate, of course, but the mechanisms less so. 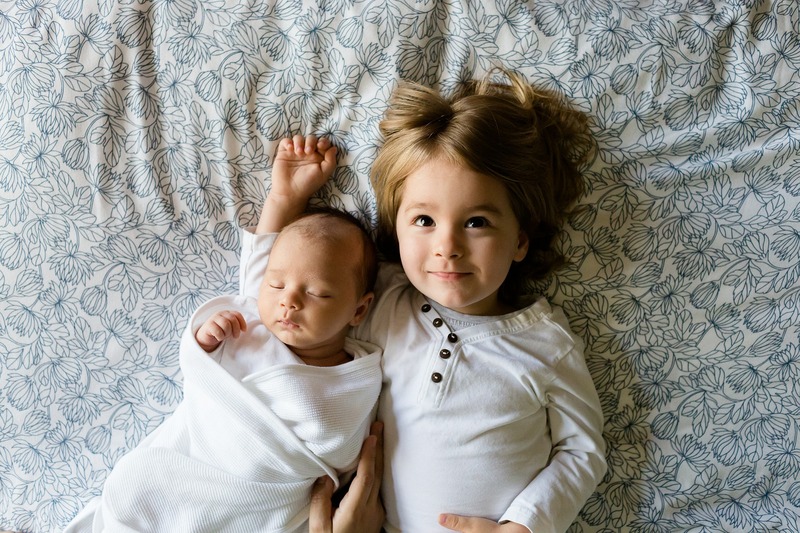 At the beginning of life, the immune system’s main job is to identify the proteins and tissues of baby’s own body, as well as other things that belong in that body. These include the microbes that make up a healthy microbiome. Babies do not start developing antibodies to fight infections on their own for some time. They start doing this at a very slow rate beginning at two to six months of age, gradually increasing this ability over the years until age 4 or 5, when the ability is fully developed. There are two branches of the immune system. The first one is the General or Innate branch. It is present at birth, but it is weak. This part of the immune system does things like produce a fever, flush out germs by producing mucus, and use several kinds of cells to kill pathogens. This weakness of the immune system in a newborn is the price paid in order to survive the environment of the mother’s body and allow later development of a fully functional immune system. It would be a real problem if the baby’s immune system started attacking mom en utero, because she was full of proteins the baby’s body did not recognize. This weak immune function also allows implantation of bacteria, viruses, and fungi encountered during the birth process that will form the baby’s microbiome. These microbes play a critical role in the training and ultimate function of the child’s immune system, according to research published by National Institute of Allergy and Infectious Diseases. The newborn human immune system functions perfectly to allow this implantation to occur. In adults with competent immune systems, a large percentage of their immune function will be due to function of this microbiome. Because of the weak immune system at birth, babies are also highly dependent upon the antibodies provided by mothers via breast milk. Their bodies are trying to adapt to the world in which they now live with a peaceful state that doesn’t involve a much fighting by their immune systems. It is amazing that a mother can transfer antibodies to protect her tiny infant against something she was infected with 20 or 30 years ago. Natural infections usually lead to life-long immune memory. Unfortunately, a mother who avoided contagious childhood infection in her youth and did not develop antibodies to that infection cannot transfer those specific, protective antibodies to her baby. Mothers who develop well educated immune systems benefit their newborns significantly. Then there’s the second branch of the immune system: the Specific or Adaptive branch – the part of the immune system that adapts to develop antibodies to specific pathogens it encounters in life. T cells are one important part of the Specific Immune System. They are plentiful at birth, but in infants they don’t act like adult T-cells. Instead, they actively promote self-tolerance. They train the body what to NOT attack. There are two classes of T cells: Th1 cells and Th2 cells. Activation of T cells very early in life, such as by vaccination or other means, results in a response skewed towards Th2 immunity. Many researchers regard an allergic constitution as a Th2 weighted imbalance, according an article published in the British Medical Journal. In a mature immune system, Th2 cells act primarily as the scanning function of the immune system to identify the presence of foreign antigens in the body. An antigen is any substance which cannot be integrated into the body’s inner environment. When that happens, the Th2 system tags it as a problem, and it creates antibodies which tell the body to respond protectively whenever it sees that again. The Th1 function of the system is primarily to destroy, digest, and expel foreign antigens from the body using cells found in the thymus, tonsils, adenoids, spleen, lymph nodes, and lymph system. This process of destroying, digesting, and discharging foreign material is accompanied by the signs of inflammation—fever, skin rash, diarrhea, and mucus or pus. No mother likes to see these, but they are actually a result of the immune system functioning as it should. These symptoms tell us that our immune system is working to ‘take out the trash’ so to speak from our body. It’s good housekeeping. We don’t like it, but it surely is useful. So that’s an overview of the immune system in babies and young children. For anyone who has seen children through the process of immune system maturation, you know it can be dramatic. The results for good or ill are often life-long. Now comes the big question. How do we apply what we have learned about developing immune systems to help our children, grandchildren and great grandchildren generate the best outcomes for life- long health? This is a particular challenge in a culture that works hard to keep children from any type of illness. Free and Healthy Children believes it has at least one good answer. This entry was posted in For Parents, Health & Wellness, World Homeopathy Awareness Week. Bookmark the permalink.